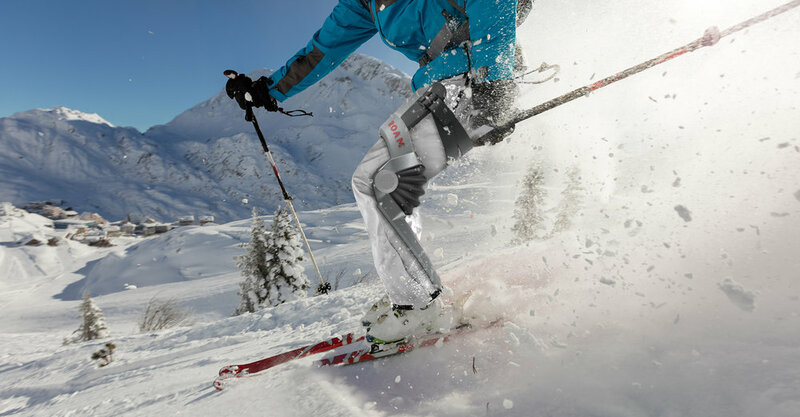 The Roam Elevate Ski XO is the first powered exoskeleton of its kind. The Elevate is designed to boost your quad strength, giving you more control while reducing muscle fatigue & joint pressure. Sensors and smart software on the exoskeleton anticipate your intent and automatically adjust torque at your knee via air actuators, effectively mimicking & strengthening your quad muscles. The device is fully adjustable and always follows your body’s lead, so you are always in control. The Elevate won’t ski for you, but it will keep you on the slopes longer. Boost your quad strength for more control, stronger turns, and longer runs. Give your knees a break. By taking weight off your joints, the device improves your ski experience while reducing fatigue. Improve knee stability and prevent normal wear and tear by lifting loads off the knee. Check out our test pilot testimonials for first-hand accounts. HOW WILL YOU ELEVATE YOUR EXPERIENCE?